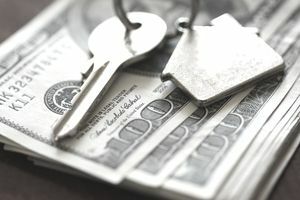 Closing costs are funds, in addition to a loan down payment, paid at settlement. According to Zillow, these costs typically total 2 to 5 percent of the home's purchase price. Costs vary among states, but cash transactions may have fewer costs than financed purchases. If you're set to buy, here's what you need to know about closing costs. The Real Estate Settlement Procedures Act requires that loan officers send applicants a Good Faith Estimate (GFE) of expected closing costs within three business days of signing the loan application. These estimates will be very close to the final charges and typically arrive about 30 days before closing. If you need more time to prepare, ask a loan officer to pre-qualify you for a loan before you start looking at homes. Be sure to request a GFE of estimated charges. FHA loans allow closing costs to be paid with gift money, and your state or city may have First Time Homebuyer programs available that assist with closing cost funds. Discuss the possibilities with a local loan officer or real estate broker.